Koalas are marsupials; closer relatives of kangaroos and wombats. Koalas are not bears but still many people refer to koalas as koala bears. It is because early European settlers when first encountered koalas, they thought that these tree climbing animals are monkeys or bears. Koala’s babies are called ‘joeys’ that stay in the pouch of female koalas until they are developed. Koala’s pouches open outward and are located at the bottom. Mother koalas use sphincter muscle for keeping pouch closed so that their baby koalas (joeys) don’t fall out. Koala mother can only birth one joey (baby) at a time. Koala on the first sight looks like a bear or monkey due to their climbing ability and thick skin. The body of the koala is covered with rough fur that is mostly brown and gray colored. They have strong forepaws and thigh muscles which help them in climbing and clinging the trees. Koalas on average can reach a height of 78 centimeters and can weigh around 15 kilograms. They have a tough skin under their feet and long sharp claws which provide friction during climbing and walking on the branches. Koalas can sit comfortably on the branches of trees for many hours with any difficulty. Because they have thick fur at their bottom and the base of their spine have cartilaginous pad – made of soft tissues. 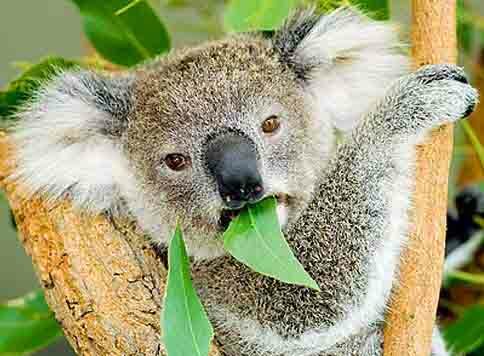 Koalas mostly eat eucalyptus leaves from a wide variety of their diet. They have the ability to select the best testing leaves through their excellent sense of smell. Koalas limit their diet to a few kinds of eucalyptus trees from over 600 kinds. 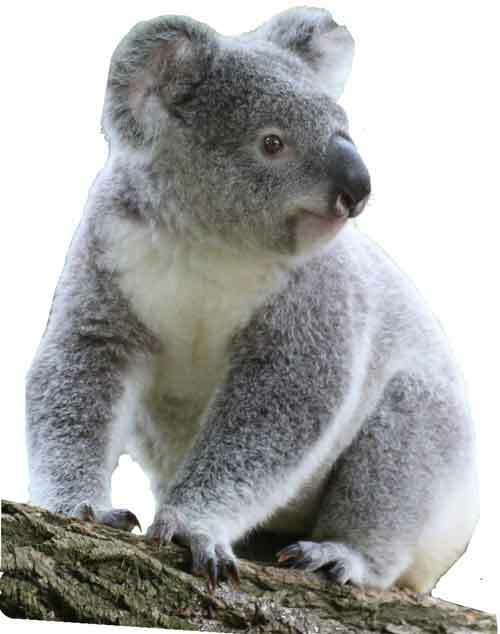 They pick eucalyptus leaves with their forepaws which are well adapted for gripping branches. 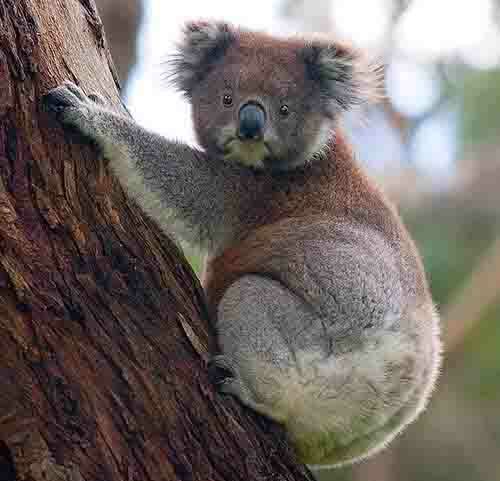 Koalas inhabits in the land of Australia and are found in forests and some coastal islands. 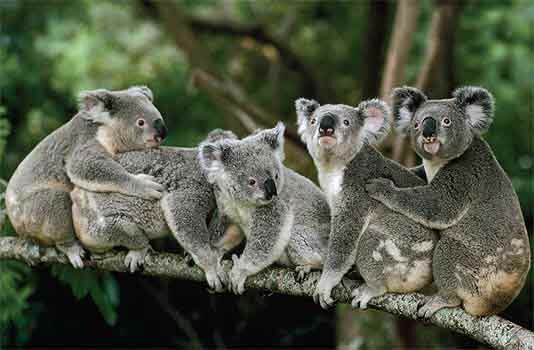 They prefer to live together in societies at eucalypt forests for the protection and availability of eucalyptus plants. 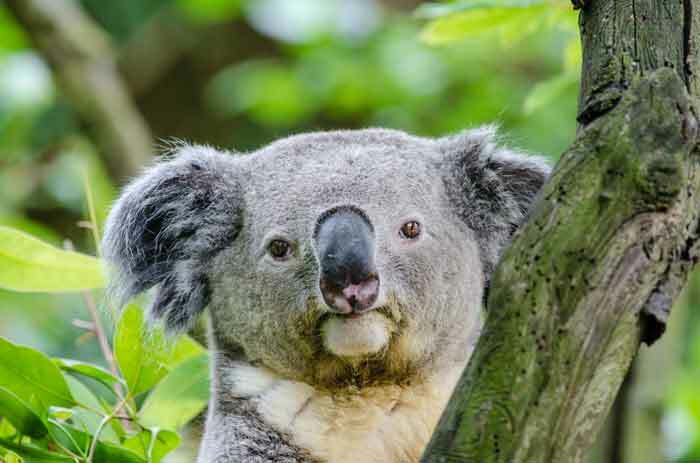 Currently, Koalas are not endangered species and they have few predators to avoid, but they still face many threats in their survival from humans. The average life span of koalas is around 15 years. Koalas love to eat throughout the day and can eat up to 1 kilograms of eucalyptus leaves. Koalas are rarely found drinking because they get most of the water needed by their body from the leaves. Abdul Wahab, "Koala," in Science4Fun, April 13, 2019, http://science4fun.info/koala/.